Eating out has never been more popular, whether your picking up a quick sandwich en route to the office, enjoying a meal out in a top restaurant, or simply ordering a piping hot coffee to go. We just love the convenience and the choice available in the UK. With the food retail industry generating 1.5bn on average each year and many Brits choosing to eat out or enjoy a takeaway on average 1.5 times per week, a retail food franchise could prove to be a sound investment. With so many food retail franchise the options available covering every possible variety of foods, from frozen treats, such as ice-cream and yogurt, to pizzas, coffee shops, gourmet burgers, themed restaurants to steak houses, if a food retail franchise is what you are on the look out for here a selection of tasty franchises for you to consider. Oh decisions, decisions! Established in 1895, Gallone’s have been making ice cream that is stocked in delicatessens, supermarkets and ice cream parlours for over 120 years. After successfully opening two parlours, one in Northampton and one in Market Harborough, Gallone’s are looking to introduce the Ice Cream parlour brand across many other parts of the UK. Really Awesome Coffee is the UK’s leading mobile coffee franchise, serving gourmet hot drinks and quality foodstuffs to customers at local businesses and events from our unique mobile cafes. With over 1.7bn cups of coffee sold each year in the UK, the coffee market is currently one of the most lucrative industries to be a part of. 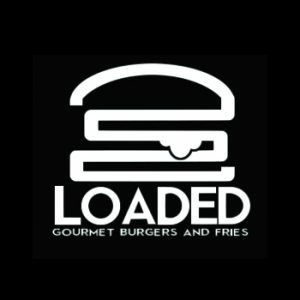 Loaded Burgers was created in 2014 to satisfy our own desire for a really tasty burger and a cool dining experience. 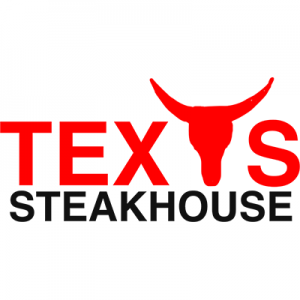 It worked for us and the hundreds of customers who quickly became regular diners. So, we launched our second restaurant in 2016. In our restaurants, everything is prepared freshly and we only use the best ingredients. We know how to make the best burgers. And we know what tastes good. It’s a recipe for success that we’re happy to share with our franchisees. Tutti Frutti Frozen Yogurt was founded upon the ideas of providing high-quality, healthy frozen yogurt, and giving control back to our customers through a modern self-serve concept. We combined these two ideas in Southern California when we began our great adventure in 2008, and have since become the largest self-serve frozen yogurt brand in the world! There are over 1,000 independently owned and operated Tutti Frutti Frozen Yogurt stores throughout the world in more than 50 countries including the United States, Canada, Australia the Middle East and the Far East, now this unique concept has been brought to the UK..
Texas Steakhouse is a fun and friendly gourmet burger and steak business, with a menu packed full of American favourites, all freshly prepared onsite. Our first restaurant opened in 2016 and is already a runaway success, so now it’s time to super-size!